Trolleys and Buses and Trains Oh My! The London Transport Museum has been around since I was a child but today's modern vibrant museum pays no resemblance to the museum I remember as a child. I can honestly say that a visit to this museum really is fun and one of the best days out I have had for a while. 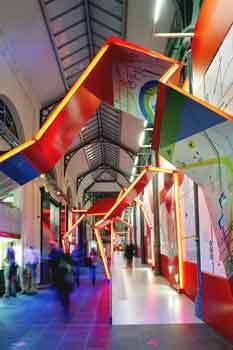 The museum is situated in the heart of Covent Garden which is a hub of entertainment and always has a real buzz to it. So whether you are there to shop, eat or what the street entertainment, the museum is certainly a great place to stop off at along the way. 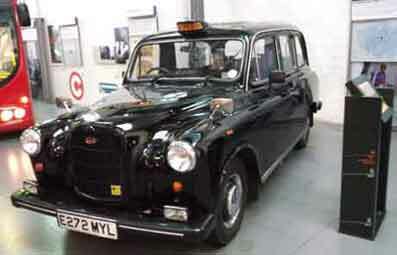 The museum covers every aspect of transport in London from the very first horse drawn buses, through to the first underground trains, right up to the very latest modern buses to grace the streets of London. So if you like the idea of being able to sit in a real railway carriage from 1900 or climb the stairs of one of London's original iconic route master buses then the London Transport museum is for you. The following pages will contain short video clips to give you an idea of what is on show in the museum as well information about all the facilities available. 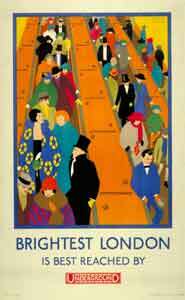 Over the years posters and art work commissioned for London Transport have ranged from the iconic to the avant-garde. Many of the posters now becoming collectors items and which decorate the walls of many a fan of graphic design. 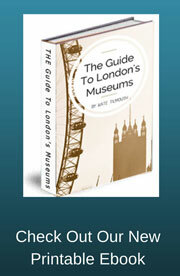 The museum holds a collection of over 5000 posters which cover a century's worth of transport related advertising. 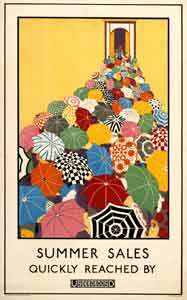 Many of these posters can be purchased from the museum online. You will see many examples of these artworks and posters as you walk round the museum. 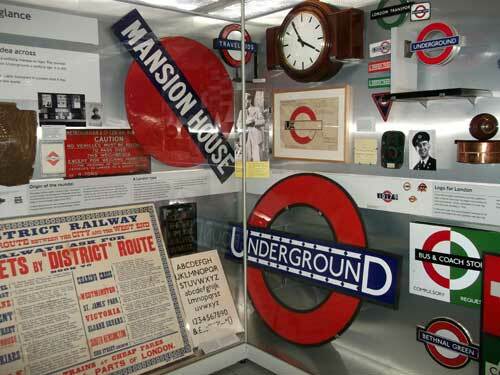 As you enter the London transport Museum you are led through the World Cities Gallery. This is a open space which was designed by the Conran group and represents six world cities, Delhi, London, New York, Paris, Shanghai and Tokyo. Wall maps depict the cities own transport networks and along the walls are embedded small video screens which show images which were sent in by the public telling their personal experiences of journeys they have had. It is easy to walk through this gallery thinking that it is a hallway into the main museum but it is worth stopping and taking a closer look at the displays which surround you. You could miss a lot of great information otherwise. London of course has gone though two world wars and it would be amiss of the London Transport museum to not tell the incredible stories of how London coped during those years. There are firsthand accounts of people who worked on the buses and trains at the time which really brings to exhibits to life and makes them much more of a personal experience. See how the underground was used as air raid shelters and how women were for the first time allowed to become conductors on the buses to help keep the transport system moving while the men were away at war. The war time galleries are very poignant and show both the bravery of the transport staff who continued to work through raids and helped to repair damage to keep the system running and the heart break of the thousands of children who were evacuated by train from the city. The London Transport Museum covers three floors each with their own unique take on a period of London transport history. The best way to view the galleries is to take the lift right to the top floor straight away and work your way down as this will take you through a chronological history and you will get a better view of how London's transport needs and infrastructure has changed. River Thames - Wherries the first river taxis to the Steamboats in 1815. Streets - Horse-drawn cabs, buses and trams.